The Sunday School program consists of lesson plans with Bible readings/stories, creative activities and learning ‘Sharagans’(hymns) from the Badarak (Divine Liturgy). Christian Armenian heritage and church history are also integrated into lessons. Each month, the students attend church to receive communion and listen to a special spiritual message from Der Datev Harutyunian. Sunday School does out-reach even beyond our own parish, yearly (just before Thanksgiving) students and teachers participate in the Shoebox Project where they pack and deliver boxes filled with items for children and youth to be delivered at Christmas time to children around the world. 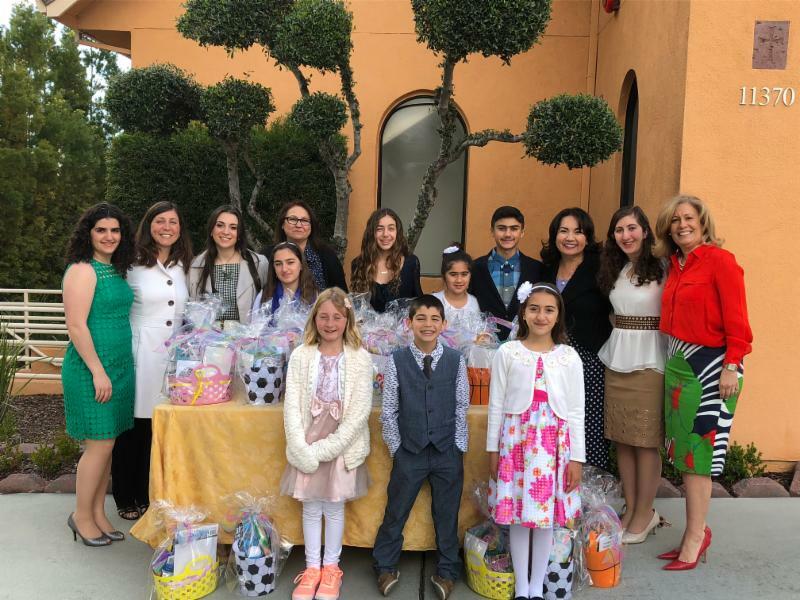 The mission of the Parish Sunday School of the Western Diocese is to nurture students to develop and enhance their relationship with Our Lord and Savior Jesus Christ and the Church, through living and reflecting the teachings of the Gospel in accordance with the canons and traditions of the Armenian Apostolic Holy Church. All children/youth are welcome to attend Sunday School, ages 4-18. Both English and Armenian are spoken to adapt for our students’ needs. Sunday School registration has always remained free of charge, due to the generous sponsorship of the Paprigian Family Foundation’s constant support of St. Andrew Sunday School. Sunday School is run by dedicated volunteer teachers who give of their time to carry on Sunday School’s sacred mission. Please do not miss this opportunity for your children’s Christian Armenian education.